The Wednesday of our week in France was a lazy day. Becks and I didn't leave the gîtes until early afternoon and we didn't want to travel far, so we headed down the road to Les jardins panoramiques de Limeuil. 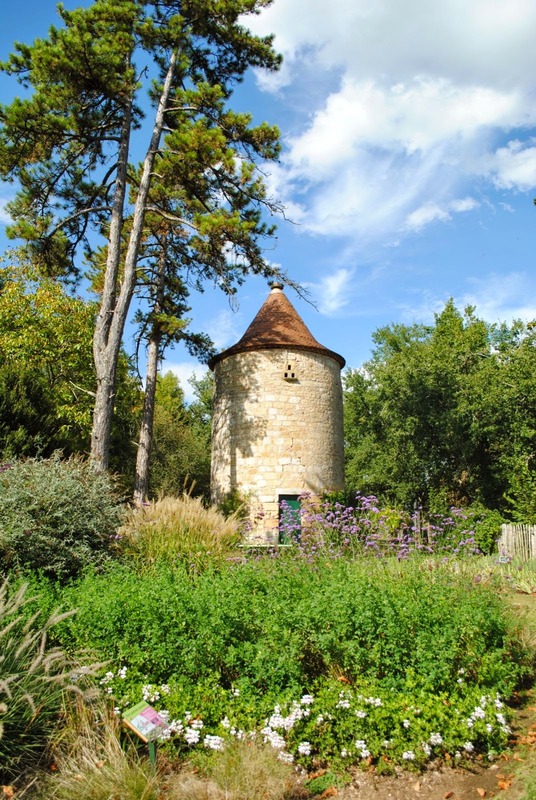 The gardens are at the top of the hill above the village Limeuil with sweeping views of the Vereze and Dordogne rivers joining together. Perhaps it was a little hot to enjoy the gardens fully, but with the exception of the section over looking the rivers (which was stunning), I was a little underwhelmed les jardins panoramiques. In contrast to Wednesday, Thursday was an early start as we were up and off to see some caves. We started by heading to Le Font du Gaume. To protect the caves they only allow eight visitors a day with thirty tickets pre-sold and fifty available on a first come first served basis. We arrived at eight thirty only to see a long queue of people already waiting for tickets. We stood in a puddle of an hour, grumbling as people pushed into the queue, to inevitably miss out on tickets. Plan B was to head for the Grotte de Rouffignac. Electric trains took is on a rather chilly one hour journey into the limestone caves. Caves were filled with over two hundred and fifty paintings of horses, buffalo, mammoths and more. Just as impressive as the paintings were the number of nests (?) that had been made by bears who hibernated in the caves. Virtually every wall was lined with claw marks from where the bears had been sharpening their claws. On a cave roll we headed onto Lascaux II to see some cave paintings in full technicolour. The original Lascaux caves are closed to visitors and two of the most decorative tunnels have been faithfully re-created in the hills above Montignac. An English speaking tour wasn't available for a couple of hours so we jumped onto the next available tour in French. The Lascaux caves were smaller than I was expecting, but the ceilings were crammed full of horses. It was then home for an elegant dinner!